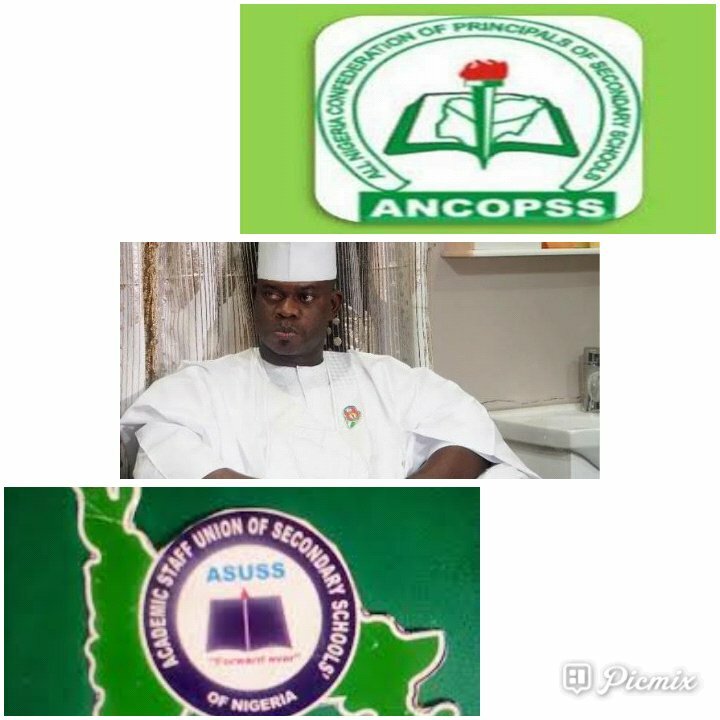 The Academic Staff Union of Secondary Schools, ASUSS and the All Nigeria Confederation of Principals of Secondary Schools (ANCOPSS) Kogi State Chapter have rejected the State Government decision to extend the second term 2018/2019 academic session earlier scheduled to end on Friday April 5 to April 12, 2019. Our Kogi State Correspondent reports that the various unions hinged their rejection of the extension on current hardship affecting most families, especially that of teachers in schools who were last paid October 2018. Recall that the Public Relation Officer (PRO) Kogi State Ministry of Education, Science and Technology, Mr. Ademu Seidu on behalf of the Commissioner, Mrs Rosemary Osikoya, in a statement on Thursday April 4 directed all schools in the State to proceed on holiday on Friday, April 12. Part of the statement reads, "All private and pblic schools in Kogi State are to proceed on second term holiday on Friday 12th April 2019. The one week extension was due to the reviewed of the 2018/2019 academic calendar for the schools in the styate by Ministry of Education Science and Technology. The reviewed has become necessary inview of the two mid-term breaks earlier declared by the Ministry for all the schools in the State of to pave way for the smooth conduct of the 2019 general elections held in the country,” Seidu said. The statement further urged all the private and public schools and relevant stakeholders to take note of this change of date and act accordingly. But reacting to this in a joint statement signed by the State chayirman Academic Staff Union of Secondary Schools, ASUSS, Comrade Ojo, Ranti Matthew and President, All Nigeria Confederation of Principals of Secondary Schools, ANCOPSS, Kogi State Chapter, Chief Godwin Yakubu noted that in as much as the Ministry of Education may think that it is within the purview of its responsibility to alter and change the school calendar at its whims and caprices, it is also necessary for the ministry to understand that the principle of collectivism and the standard of practice dictates that all relevant stakeholders ought to be carried along in any matter as important as alteration of a School Calendar. The Statement added that even though there is any good reason for this desperate extension, we wonder why the Ministry had to wait till two days to the close of the term before coming up with such a joker. "Already, exams have been completed, results computed and awaiting authorization and distribution to students on Friday 5th April 2019. The ministry coming up with a directive for extension only on Wednesday 3rd April 2019 seems to show that the ministry is not conversant with the School calendar prepared by it. We therefore wish to inform the Ministry that this unilateral extension of School Calendar by one week after all the processes for closing the term is completed negate the principle of collectivism in the policy guiding the preparation and moderation of School Calendar. As Such the extension is belated and cannot be implemented. Besides, we expect the Ministry to be aware that the last salary paid to teachers and principals (our members) in this State was for the month of October 2018. For this reason, teachers and principals have only cling to the very thin string of hope supported by the love they have for their students and have been able to drag their already famished body and soul to this level to ensure that the term is successfully closed on 5th April 2019. For the Ministry, in this very deplorable conditions and circumstance of our members to consider even a day extension shows a very high level of insensitivity to the plight of teachers and principals (our members). Even the students themselves cannot afford any extension at this time as their parents who have been without salaries for five months and even more are already breaking under the burden of sending them to school every morning. In view of the above therefore, we use this medium to call on the Ministry of Education, Science and Technology to rescind this un-implementable decision and allow schools to naturally close for the 2nd term of 2018/2019 Academic Session on Friday April 5, 2019. Anything to the contrary will be tantamount to an attempt to wedge a speeding train".